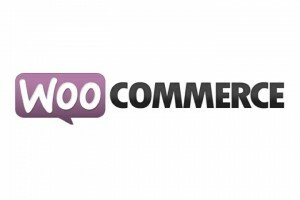 Here’s a handy little snippet to let you sort order items by name in WooCommerce. I had this requirement from a client of mine that receives large amounts of products in their customer orders. When they’re picking stock off their shelves as they process the order the products with the same SKU with multiple variations were being added to the order in the order that the customer added them to the cart. It made it really hard to see when there was multiple items ordered (different variations) under the same SKU and they found themselves having to go back to the shelf they were just at to grab another one of the same product, causing a lot of wasted time. This bit of code sorts the items in your order by name which helps group everything together. This code will sort order items globally by name. This means in the admin screens and in emails going to the admin and the customer emails as well. Hope this helps someone else out there with similar requirements. Is It Worth Getting Into Freelance Programming? I actually get some variation of this question on an almost daily basis at the moment. It’s probably because some of my articles around the topic of freelance programming have hit the sweet spot in Google and more of you who are interested in freelancing are starting to make your way to my site (thanks for sticking around). I actually find it really hard to answer questions like this because I don’t have any idea about your circumstances other than the emails you send me. So in answer to the question, “should I do it or not”, the answer is “well, it depends”. How dedicated are you to finding clients, profiling them so you work with the right ones, and specialising in something? If you want to make your freelance career a success and do it full time then best of luck to you. It can work (myself and many other are proof of that) but you need to do run it more like a business. If you’re happy doing it on the side then it can be more like a fun hobby that you happen to make money from. I’m not saying these things don’t matter but you can certainly take a more relaxed approach and be more choosy with your projects from day 1. Whether it’s worth it or not depends on what worth it means to you and in what capacity you’re approaching it. I would love to hear people’s thoughts and experiences with getting into freelance programming in the comments. You guys know my story so now it’s over to you, how did you start freelancing and what would you say to people wondering if it’s worth getting into? Found a bit of an unusual one today when checking out a new site in Google Webmaster Tools. GWT was reporting that there was a huge number of links pointing to mywebsiteurl.com/comments/feed/ and that the feed’s URL was 404 not found. Turns out that the site itself hasn’t had any comments yet so while the RSS feed URL was still being generated it was 404 because the feed itself didn’t have any data to draw on. I guess the same would happen with the Posts Feed as well if you didn’t have any posts (haven’t checked). Pretty simple really, the solution was to make a comment. I have a particular category that doesn’t show the comments, but you could simply make a fake comment as a logged out user or hide the comments on an individual post and just make a random comment as yourself. Once the comment is in the system the feed URL magically works again and it generates the RSS feed. WordPress is a crazy little beast sometimes…. One of the cool tricks that I use frequently in my website designs is to make the labels of text input boxes in my HTML form appear to be on top of the input box itself then disappear when you click on it. In the past I’ve tried achieving this by using labels and hovering them over the box, then making it display:none when you click on it. The problem with this is that you either end up having to use a jQuery plugin to handle it or lots of extra code. Recently I came across a method to have placeholder text disappear when you click on a text input box with very little code. You’ll need jQuery installed, if you don’t know what that is you probably shouldn’t be doing this anyway.. let’s get stuck in. You can then use the “watermark” CSS class to style your placeholder text however you like. I usually grey it out a bit and maybe make it italic or something along those lines. Nice and simple and it uses very little code! Do You Have Shiny Object Syndrome? The bird of justice will peck your eyes out if you take on one more project! If there’s one thing that I can certainly testify that I’ve struggled with over the years it’s my ability to concentrate on just one project at a time. I’m guilty of starting and not finishing more projects than you could poke a stick at. The thing is I’m not alone in this… go on, admit it, we all have folders on our hard drives of projects that were started and never finished. They might have been just waiting for that extra bit of motivation for you to get moving on it, or maybe there’s plans to get back to it “someday”, but that day never comes. It’s not your fault though, concentration is the number one thing that web entrepreneurs (and entrepreneurs in general perhaps?) struggle with the most. In the past, it’s been all too easy for me to flitter about from one marvellous project to another. 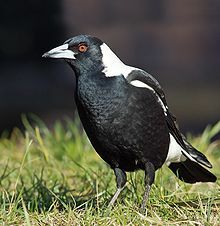 Something always comes up or catches my eye, like I’m a frigging magpie or something. Some little idea will pop into my head and all of a sudden it’s turned into a full blown project that takes me away from more important things. Shiny Object Syndrome is a real problem for web entrepreneurs especially because someone is always trying to sell the “next magic bullet” system that will lead to riches. It’s the primary reason why I don’t go anywhere near the Warrior Forum anymore. Not to say that that is all you’ll find on there, but the temptation to get sucked into every little WSO is too great for me to resist. So how do you conquer Shiny Object Syndrome? I found that it was like an addiction, an addiction to information consumption. I now conduct a reflection session in my business every couple of months (ideally monthly). In this session I review all the internal projects that I’m doing and adjust my focus if things aren’t proceeding as I’d expect. It’s also a great time to identify opportunities in the ideas I’ve had over the month and setup new projects in a more structured way than just chasing them at the time the idea occurs. More on this in a minute… read on. Once the path is set for another month it’s all about execution. Plans, task lists, and reminders are the tools to get things done once you’ve decided on a course correction. There’s nothing quite like the feeling of actually taking an idea from conception, through to planning then finally execution. This last point is the most important for overcoming Shiny Object Syndrome. It’s all about identifying when you’re having an idea and devising a way to accept that you can’t chase it, not right now anyway. For me the best system for getting through this is to keep an idea journal. It’s as simple as a notebook that sits on the end of my desk that’s always ready for me to write in. Sometimes I can have a dozen ideas in a day and other times there’s nothing to write in there for a week. But there’s always more ideas than I could have handled if I were to just start chasing them. This method will probably be pretty confronting if you’ve never done it before. Firstly, because it’s hard at first to accept that you’re writing down an idea and not looking into it more deeply right then and there, and secondly because of the sheer volume. After my first week of doing this I found it amazing how many ideas I had that could have been potential distractions. Shiny Object Syndrome is defeat-able and once you do defeat it, you’ll feel pretty damn empowered. If this is happening to you, then it stops right here. Get a system, get disciplined, and you and your business will be all the more better for it. As a web developer while you’re plugging away at that code there’s something you can be doing to improve yourself, your job, your business and your life. It’s called Podcasts (if you don’t know what they are, welcome to the 21st century……). There’s literally thousands of podcasts out there on a huge range of topics, so I thought I’d do up a post specifically aimed at podcasts for web developers based on the list of podcasts that I listen to. There’s more than this that I actually subscribe to, but these are some of the great podcasts that I’m addicted to. They’re in a bunch of different interest areas ranging from startups, to niche websites, to lifestyle and marketing. This is the best podcast on startups for software people like me. Rob and Mike talk about building software products and how to market them (which is 90% of the work). Absolutely great content, I went back and listened to the back catalog. This is a great podcast about building online businesses with the aim of putting in lots of upfront work in order to take it easy later and have the money come in using automated systems. Pat is living proof it’s possible too, check out his site if you’re not familiar with him and you’ll see his ginormous income reports (swoon). His podcast features lots of interviews and some great “tips” episodes on how maximise your online business activities. Spencer Hawes is the fella behind his podcast. Spencer runs a number of online businesses and is currently making a lot of money with niche websites (in excess of 10k a month). He is a great source of online marketing and SEO advice. This is a really fun podcast by two guys, Dan and Ian who run a number of online businesses why being based in countries that are cheaper (and awesome) to live in. A great place to get inspired with advice on how to balance life and business. If you’re after a slap in the face of marketing advice then Social Triggers by Derek Halpern is a great one to listen to. He’s a loud and proud New York boy and he’s here to help you rethink how you do your marketing. Based around using psychology principles, it’s a great podcast to listen to when you’re after some new advice you haven’t heard before. These shows are some great new shows that are making a big splash and I’m really loving them. Dan’s the founder of Inform.ly and plus to make it even better he’s a Gold Coast boy (Gold Coast is about an hour’s drive from Brisbane where I live). It helps that the podcast so far has been really awesome with some great guests like Brendon Sinclair in Episode 2. 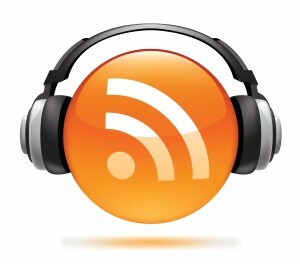 If you’re a web developer like me, I recommend listening to this podcast. Know Of Another Good One? If you know of another great podcast you want to introduce people to, leave a comment below with a link to the itunes page! The end of the year always bring a bunch of these types of blog posts around the blogosphere. It’s the old “what I’m going to do next year” post. I’ve done a couple of these in the past, but this year I thought I’d put a bit of a spin on it and discuss some specific things I want to do better in my business in 2013. Once all the craziness of the few weeks leading up to Christmas dies down I often find there is a few days just before knocking off for the year that are nice and quiet. It’s the perfect time for reflection. This year has been one hell of a roller coaster for me with the main event being that I quit my job in April to pursue freelance web development on my own. I ended up starting a web development company and found some really great first clients, all of whom I’m very grateful towards for helping me build my consulting business, but that’s not all. Looking back over the year I’ve discovered that of all my projects I really want to focus on the top two. They are the things that are most important to me. 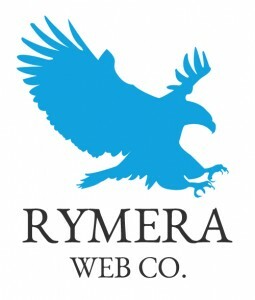 Rymera Web Co is my baby. I’ve worked really really hard over the last 8 months to build up a business that I’m proud of. We’ve done some really excellent work for our clients, launched many websites and helped countless people with specialist WordPress support. Everyday I am amazed at what has happened and how it’s grown in such a short amount of time. I want to keep growing Rymera Web Co over the next year. 2012 saw me pouring a lot of energy into it and that’s not going to be slowing down anytime soon. 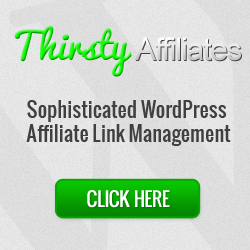 Second is the first premium WordPress plugin I ever created, ThirstyAffiliates. While it’s not the only one in my stable of WordPress plugins, it’s certainly the most successful, probably because it’s the one that I have worked hardest at marketing and improving. All the hard work over the last two years with this plugin is really starting to pay off. We had our best ever month in November and if I can keep increasing the feature set, keep scoring favourable reviews, and implementing all my other marketing strategies around this product I think it will certainly become a core part of my overall business. I have a number of email marketing lists. My biggest by far is actually one of my smaller websites, Teach Yourself Websites. It’s a website offering a free eCourse on how to build a website and is something I did looked at expanding in the latter half of this year with mixed success. One thing I’m really proud of with Teach Yourself Websites is it’s ability to grow it’s list and increase prospects from it. That’s something I really want to take into all corners of my business, especially with Rymera Web Co and ThirstyAffiliates. I’m creating content with fervor these days for both of these companies and the next major “to do” is to build my list. I have a small list going with both of them, but next year I really want to kick this into overdrive. Creating products is a strategy that I’ve always been fond of because it de-couples your physical hourly constraints from the dollars that you earn. I’ve seen this strategy working most successfully with ThirstyAffiliates. Each month I put just a few hours work into this product and it continues to sell by itself because of all the systems I’ve put in place. Basicaly, every hour that I put in provides me with a lasting return and this is something that I want to carry over to my web development business, Rymera Web Co. While I don’t believe in productizing web design packages (because every business I work with is different), my immediate thoughts are to make product type offerings that can be purchased online. This could take the shape of something like a social media setup package where we go ahead and create Facebook and Twitter pages for clients that have a website but no social media presence. Tasks like that take a finite amount of time which can be averaged and estimated into a packaged price. This is somewhat of a personal goal. 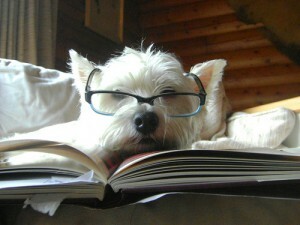 I want to keep researching, reading about and implementing what I learn in regards to design. I’m thinking about taking a course on design and maybe getting more formal qualifications in the area. Additionally, I’ve also considered going the other way and maybe hiring someone that can help out with putting the “finishing touches” on design work. Overall it’s just about improving quality. I’m happy with the work I’m producing, but I’m always actively looking for ways to improve which is important to do as an entrepreneur. Creating systems is a great way to leverage time and be more efficient. While I’ve already started creating little systems for myself I’d like to get a bit more formal in my processes. I need to think a bit more deeply about how I’m going to apply this in my business, but at least the thought and intention is there. I have been tracking time spent using a system of spreadsheets that I setup, but I find that as it gets busier it’s hard to visualise the schedule of work. Ideally I’d like to find some project management software that would work for both client work as well as project work. A tall order I know, but there’s plenty of software solutions out there and I just need to trial them and see what works. I’m currently using a combination of spreadsheets to track quotes, projects and hours and the free version of Wrike which does pretty well for organising my tasks across different projects. Every morning and afternoon I take 10 minutes to plug in all my new tasks and keep it open during the day to cross things off and add new things that come up. It’s good because I can schedule tasks into different days so in that way I have some basic management and forecast of my upcoming jobs. The bad thing is that it’s not sophisticated enough for truly managing projects and things can get lost if I forget to put them in there. Yeah.. I’m sure us bloggers are all a little bit guilty of this one. I do a lot of writing around marketing and giving advice about strategies online, but I’m also not always the best at implementing them. I need to fix this and it’s going to be one of my top priorities in the new year for Rymera Web Co. I have a big list of things I want to get to, and associated tasks that have all fallen behind in my task list. They’re going to get nailed in the new year. I have been getting the feeling of being spread too thin because of all the various projects I have going on, a common problem with entrepreneurs. We chase down little ideas, trial things out, test hypothesis, and before you know there’s 10 projects going on simultaneously and it’s unmanageable. Next year is going to be about focusing my energy on a few key projects and either selling some of my smaller websites that only bring in a few dollars a month or letting them fall by the wayside. 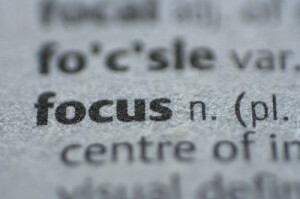 Focus, focus focus. That’s going to be my mantra. This year really has been one of those years where I’ve said the phrase “things are never going to be the same from now on” so many times that I’ve lost count. Calling it a roller coaster is an understatement, but at the same time I’m very grateful for where my life is at right now. I have a wonderful family and I’m finally following my dreams of working for myself, something that I’ve been talking about for the last 5-10 years. I know that 2013 is going to be a tough year as far as work goes, but it’s also going to be a year of great things. Anyway, enough said about me. What about you? 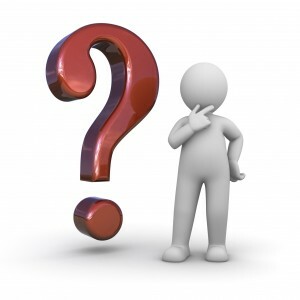 Have you written a “goals post” yet for 2013? If so, leave a comment and a link below! We all know that freelancing is a great method to start earning money on the side or even as a full time gig (like what I’m now doing). But finding your first freelance clients can be quite difficult if you’re just starting out from nothing. When I started out, it was almost by accident. Someone asked me about a website and I said I could help them build one. Over the years I’ve fine tuned my strategies for attracting clients. Some methods below require a little bit of work on your part (which you should have plenty of time for if you’re just starting out), and some are more passive and will start working for you once you get a few clients under your belt. Using the following 9 methods for finding your first freelance clients in conjunction with each other is the best way to see success with freelancing. The trick is to be patient and understand that this isn’t going to happen overnight, but if you follow along and work at promoting yourself as a freelance programmer (or designer or whatever) it will happen and before long you’ll have more clients than you know what to do with. First up is an old favourite in the direct response industry and that’s cold calling. Or, “dialing for dollars”. You can of course outsource this, but I find that when I have cold called in the past most people are more receptive if you do it yourself. Tell them who you are and what you do and ask if they need your services. If not, thank them for their time and get off the phone, they’ll call back if they want to. Some people can be really rude, but the ones that do respond positively can really talk your ear off. For service based businesses, it’s a good way to make contact and forge a relationship with someone out of thin air. They’re not always going to want to buy on the spot, but you can then open the door for further communications, emails, etc. Cold calling also works well when you send a follow up business card in the mail (yes, the post) with a note to say thanks for their time and tell them you’ll be there if they ever need any of your services. People remember this kind of stuff. I’m a big proponent of getting directly in touch with people. But I’m also the first to admit that cold calling is hella-scarey. I have used the cold emailing method to great success in my business and it’s a nice low-touch way to make contact with people without seeming pushy. Cold emailing can have pretty low response rates, but if you target your audience properly you will start seeing some success if your offer is good. My suggestion is to make it casual and light. Don’t come in heavy with a “Super Amazing Offer, Buy It NOW!”.. that will only land you in the spam pile never to be thought of again. I’m always adjusting this script, but I’ve seen moderate success with something like this. In my industry where a job can be worth a couple of thousand, it’s worth my time sending out 2 or 3 hundred emails to get a 1% response. Where do you get the emails? Ahh yes, well I have a few tricks up my sleeve here. In Australia we have a number of websites that list businesses in the local area. A lot of those websites have email addresses published on their websites. If an email is publicly available it’s fair game. Some may call this a bit grey hat, but I don’t spam people with repeated offers and am always casual, courteous and non-pushy. That’s the trick with this whole strategy. It’s the digital equivalent of asking a casual question face to face. I’ve had mixed success here and these days it’s a lot harder to find consistent work this way, unless you’re just starting out. Overseas companies have chewed the bottom out of the market so while it’s a good way to get some experience and find clients I don’t really recommend it as a long term strategy. When you’re just starting out however, it’s a great way to meet people and get in touch for future projects. It can also be a nice way to build up word of mouth (another strategy we discuss below). I’m a member of a couple of job boards and I’ve found that the paid memberships tend to be the best because they have a real business behind them with people working hard to attract these job posters to the site. The trick with job boards is to look for a local job board. In Australia we have Service Seeking which is a great resource for business owners and freelancers like myself doing the work as well as for businesses requiring the work done. I personally prefer working with other businesses (which Service Seeking mostly attracts) rather than individuals, but you can find job boards that cater to both. A while back I was heavily into doing work with SugarCRM (I had a 6 month contract job) and became somewhat of an expert on the forums. To this day I still get emails from people who have seen my posts in the forum showing people how to do things. While I don’t actively participate there anymore (it’s been nearly 2.5 years) it’s a strategy that has paid off with paying clients coming directly from my participation. You can do this strategy in any number of product related forums, if you become recognised as an expert and continually participate in the community you will see the rewards from it. It’s not a strategy that is going to get you jobs straight away but it’s a good way to build up future work. For freelancers your reputation is a fragile thing. Word of mouth is a fantastic method of getting new clients (in fact it’s my biggest source). Here’s the thing.. happy customers tell people how great you are. What I suggest is that you deliver well on the project as specified and then find a way to over deliver above expectations. Often it can just be a little extra attention and flexibility with your time. I tell all my clients that I quote their job and then they have me until it’s complete. Not counting the hours is one way to build more rapport with your existing clients which will make them more receptive to spreading the word about you. What “extra little things” can you do for your clients that they aren’t expecting? It doesn’t have to be something that costs you a lot other than time. At the end of the day, it’s the client’s decision to work with you again and to refer you to their friends and contacts. Your network is more powerful than you realise. When I went out on my own full time earlier this year, I didn’t have any contacts (or so I thought). Once I started contacting people and letting them know what I was doing, the jobs started to come in. These were people that already knew me and had work or could refer me to people that they knew were looking for a good developer. Sending a casual and friendly email to your contacts (that means your business contacts, your friends, your family, whoever!) can really be great for getting your first few clients. Free work is something that many online marketers have been proponents of including Tim Ferriss, Ramit Sethi and others. The trick with free work is research. You need to be aware of what the person you’re targeting requires at that point in time. A shotgun approach will not work here because it may be irrelevant to their needs at the time. The success of this strategy depends on your ability to find out what that person requires (out of your services) and ask them if you could provide a very specific service to them for free. I guess you could say this used to be the “foot in the door” strategy. Once you get in there and make contact with that person work as hard as you can to impress them. If you do, then the paid work is sure to follow. The doing free work strategy doesn’t have to be with famous people either (though it’s cool to say you did work for so and so), you can employ this with local business owners and people or groups you really would love to start doing work for. Finally, my last strategy is for you to have some sort of online profile. People Google your name more than you probably realise. I know that whenever I receive an unsolicited offer from someone I always do a quick background check to make sure they’re legit. Throw up a WordPress website and list out what your services and rates are. This will let people evaluate if you are for real or not. When they Google and find your website with a service listing, a list of clients that you’ve helped in the past and some basic information about yourself, you’ll start to see better results from all of the other above strategies. So that’s my top 9 strategies for you to find your first freelance clients. Do you have any more to add to the list? Perhaps you’ve tried something in the past and had some great success. Tell us about it in the comments below! I started getting interested in business from an early age. As a teenager I helped my father with his electronic repair company, introducing a computer software cleaning service for hacked computers. That was my first real taste of what you can do in business and it only grew from there. © Copyright 2019 Josh Kohlbach. All Rights Reserved.